Emma Thompson also made her way to Shell’s headquarters alongside a giant polar bear in protest of Arctic drilling. 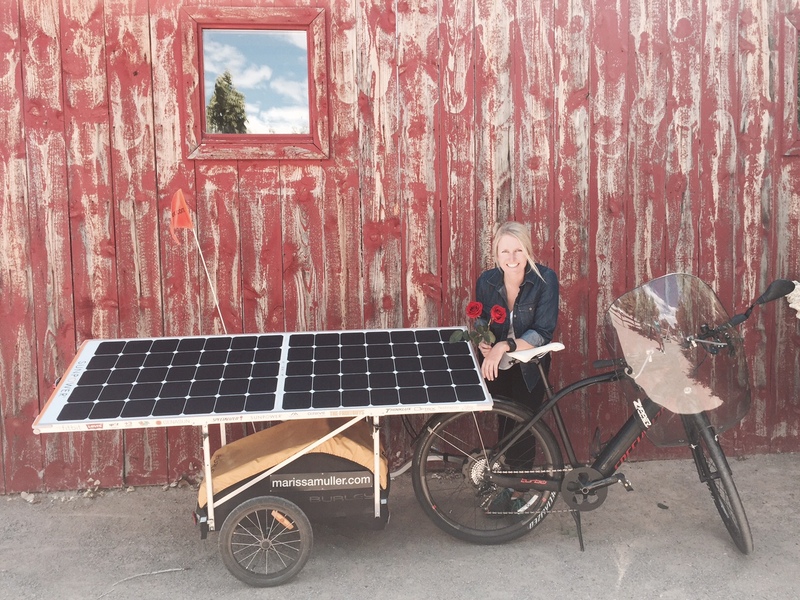 Marissa Muller’s solar powered bike ride across America also came to a successful end this week as she managed to draw attention to renewables. Have you been ready to go green but simply don’t have the roof space? Well, now you can use someone else’s roof! Sempra U.S. Gas & Power received the “Power Player Of The Year” award at this year’s Energy Summit in Las Vegas, while Airlight Energy’s giant solar sunflower was named one of the 7 solar wonders of the world. 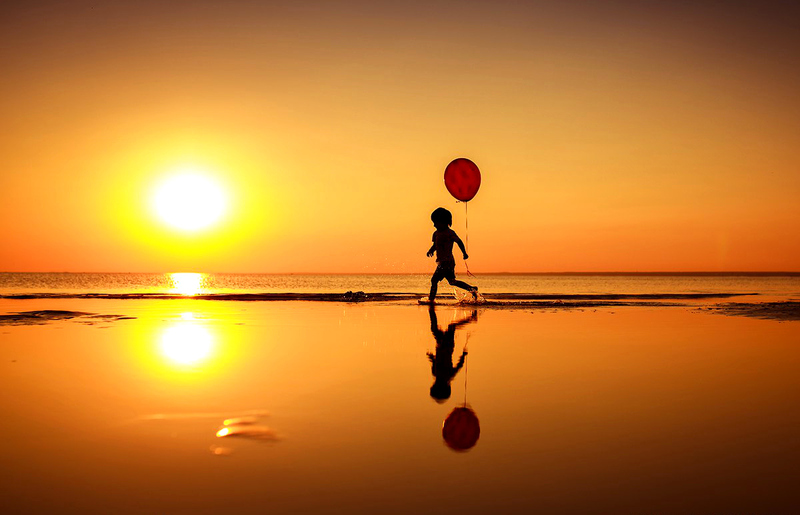 New study data released this week proved that renewables and public health are inextricably linked, and nowhere else is this more evident than in China! 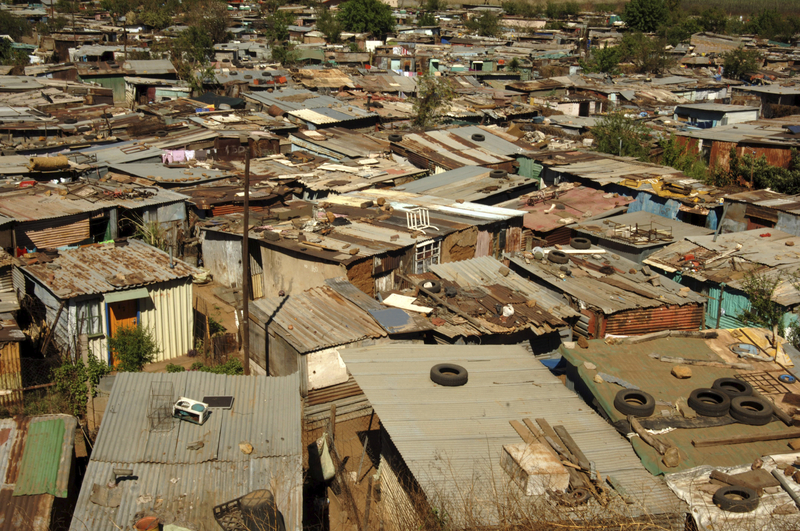 South Africa also made the news again this week, and it seems that amidst allegations of going nuclear, they may finally be focusing on renewables to get a healthy “energy mix”. 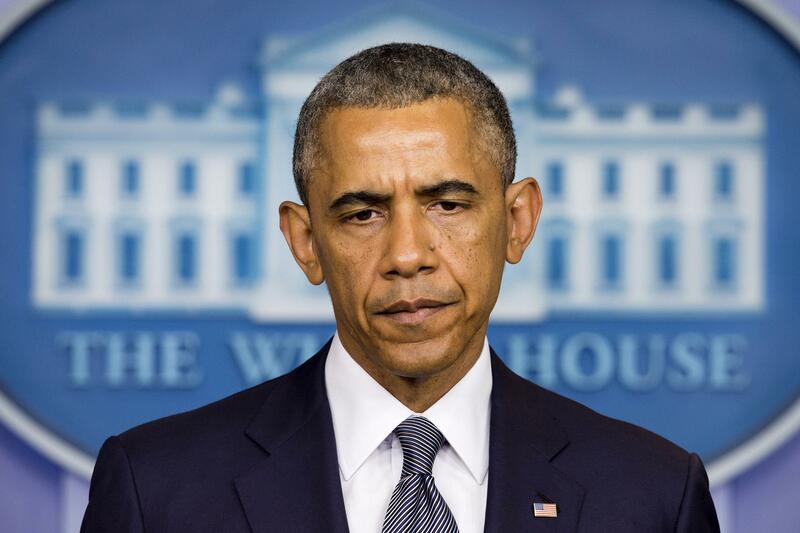 Those who do not take climate change seriously are “not fit to lead”, according to President Obama. Climate change is also the reason why the President will soon be running with Bear Grylls! 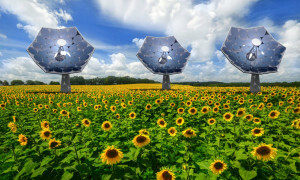 Airlight Energy, a Swiss-based company, has developed a new solar technology which resembles a gigantic sunflower. 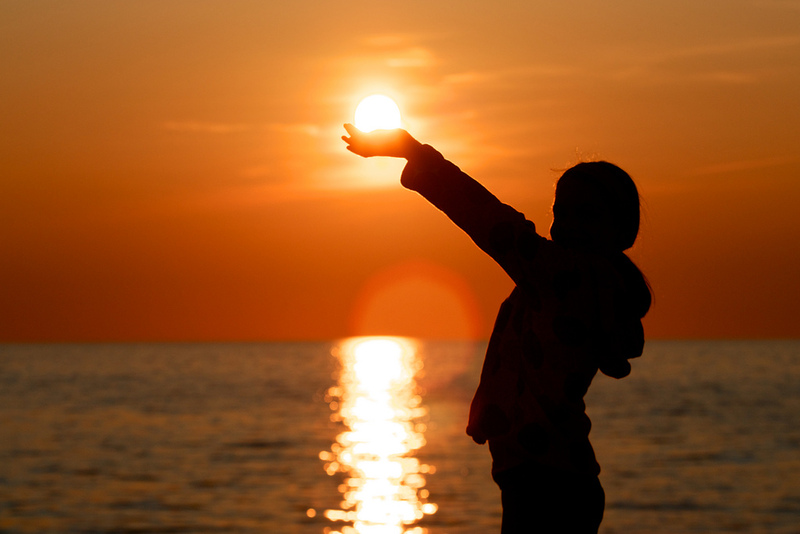 This amazing technology can harness the power of 5000 suns! Sunflowers have been the interest of solar developers for several years now, and Greenpeace last year named the sunflower one of their 7 Solar Wonders of the World. Concentrator photovoltaics (CPV ) may just be the way of the future, and this groundbreaking design makes use of HCPVT to generate electricity and hot water from solar power. It makes use of an array of mirrors (or heliostats) to focus a large area of the sun’s rays onto a small area, and this design offers several advantages. 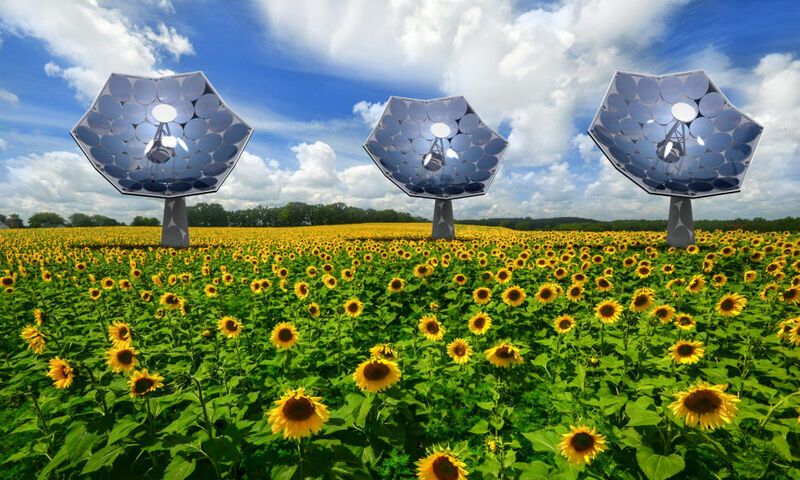 Developers are confident that these sunflowers will be available to some early adopters by 2016, with full commercial manufacturing capacity being achieved by 2017. 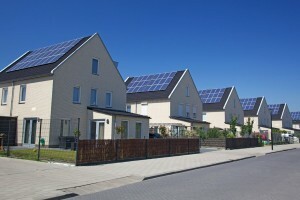 Go Solar With Someone Else’s Roof! Ever imagined going green but never had the roof space to install panels? A few weeks ago we reported on the Sunport, a device which allows you to make use of solar without owning any solar panels. Well, now it seems you can even use someone else’s roof to convert to solar! Yeloha, a Massachusetts-based startup, seems to be attracting much attention lately with their concept. In essence, Yeloha links those who want to buy solar energy with those who have the roof space to accomodate for it. You can either find a roof, or become a host. 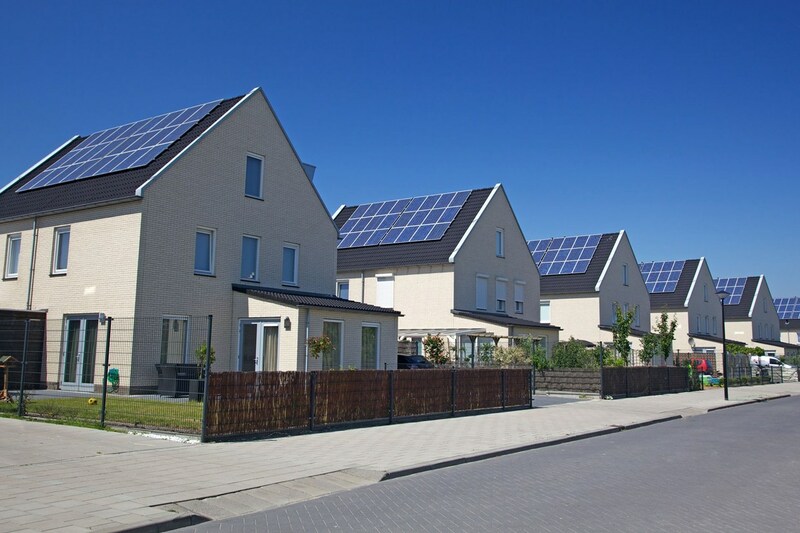 Solar is likely to provide virtually all new generation capacity in the state by 2025, according to Dr. Mike Nahan, Western Australia’s Energy Minister and state treasurer. Sempra Energy (NYSE: SRE) subsidiary Sempra U.S. Gas & Power was recently honored in recognition of their continuing commitment to renewable energy. The “Power Player of the Year” was awarded by the Clean Energy Project, a nonprofit organization, at the National Clean Energy Summit 8.0 held in Las Vegas recently. 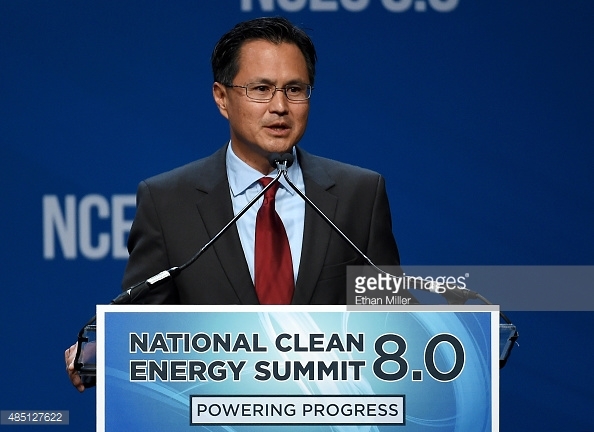 Kevin Sagara, president of renewables for Sempra U.S. Gas & Power, accepted the award on behalf of the company. 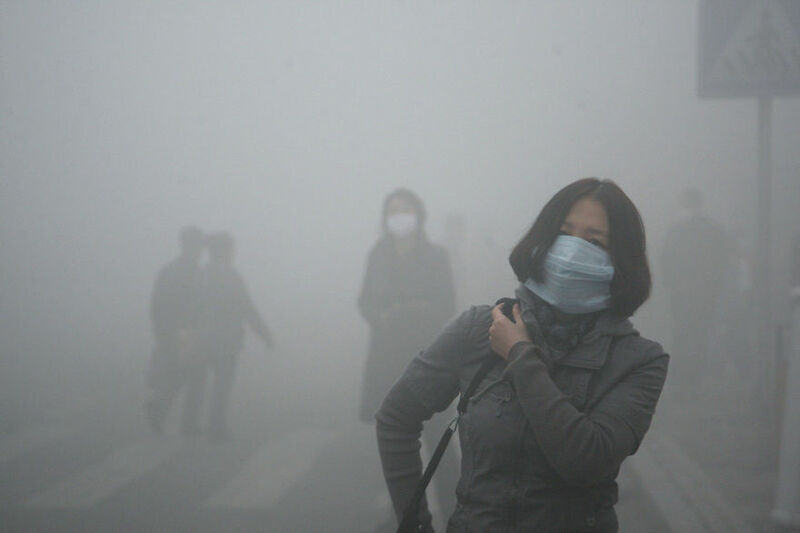 In 2013 North China made headlines as it was recognized that their rate of pollution cuts life expectancy by as much as 5 years! Pollution levels in China are some of the most concerning data ever seen. Here are 23 of the most shocking images ever published of the radical pollution problem they face. Now a study by researchers from Harvard University has clearly demonstrated that energy efficiency and renewable energy has substantial benefits to not only the climate, but public health too. Study lead author Jonathan Buonocore Sc.D. was quoted as saying that, “… this research shows that the climate benefits and the health benefits are on par with each other”. The solar vs fossil fuel debacle has finally been settled. This week saw the completion of an epic solar bicycle journey. 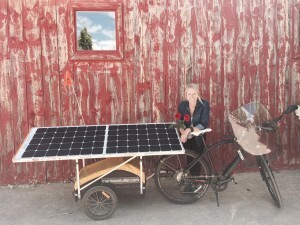 On the 21st of May 2015, Marissa Muller set off to begin her 3000+ mile solo journey across the United Sates on a solar-charged electric bicycle. Thanks to Sunpower’s custom solar panel and Specialized Turbo S electric bike, Marissa completed her trip from California to Washington D.C. across 13 states in just 81 riding days. 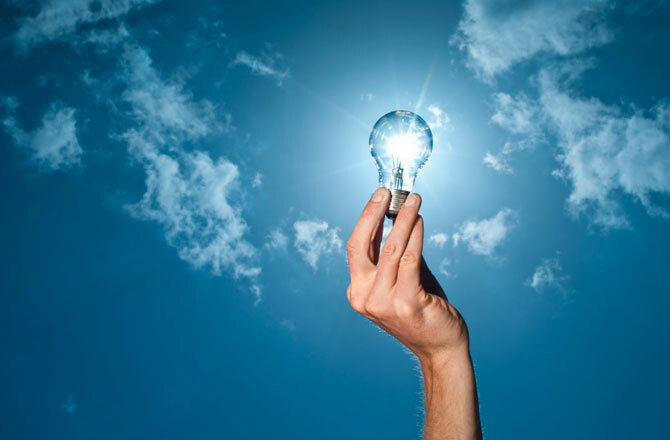 Her plan along the way was to empower local municipalities, schools, and businesses with the wellness revolution and to educate them on the benefits of renewable solar energy. Here’s a video of Marissa showing exactly how the solar-powered bike works. South Africa recently made the news after a small team from the University of Stellenbosch managed to solve a solar problem that stumped some of Google’s top employees. This week energy minister of South Africa, Tina Joemat-Pettersson, sought to clear the air on claims that South Africa is planning to set up nuclear power capacity of 9.6 GW. Petterson insisted that the nuclear procurement process will include a study, and that she denied the estimated cost of $100 billion. Renewables may just be SA’s hot ticket to address their current energy woes, and for now it seems they are in no rush to go nuclear as they prepare to host an energy conference in October. 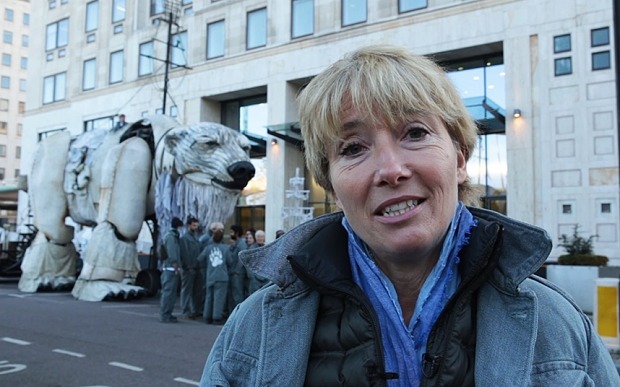 Emma Thompson this week was seen with a giant polar bear outside Shell’s London headquarters in support of new campaign by environmental group Greenpeace. This event was in protest of Shell’s Arctic oil drilling, the Oscar-winning actress even wrote a poem to express her anger. So far, Shell’s Arctic efforts have been bogged down by lawsuits and disasters. The 3-ton polar bear now has 6 people chained inside who intend to remain there as a symbol of mass defiance until drilling ends later this month. Shell, which has invested billions into arctic drilling, has only a few weeks left to explore the area for oil before winter begins.